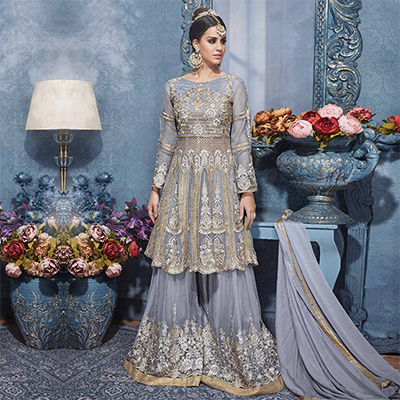 Be your exceptional vogue diva with this grey net designer floor length suit. 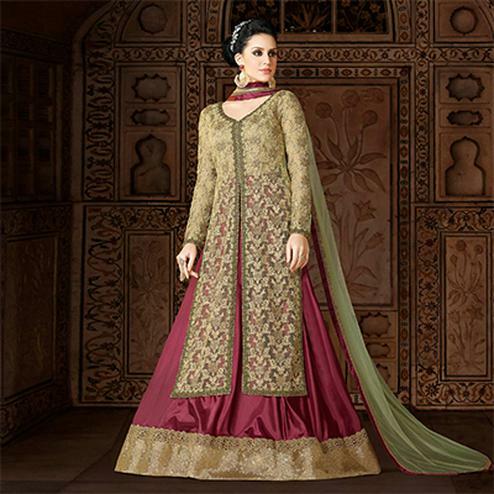 This dashing trendy floor length suit is beautifully designed with embroidery. 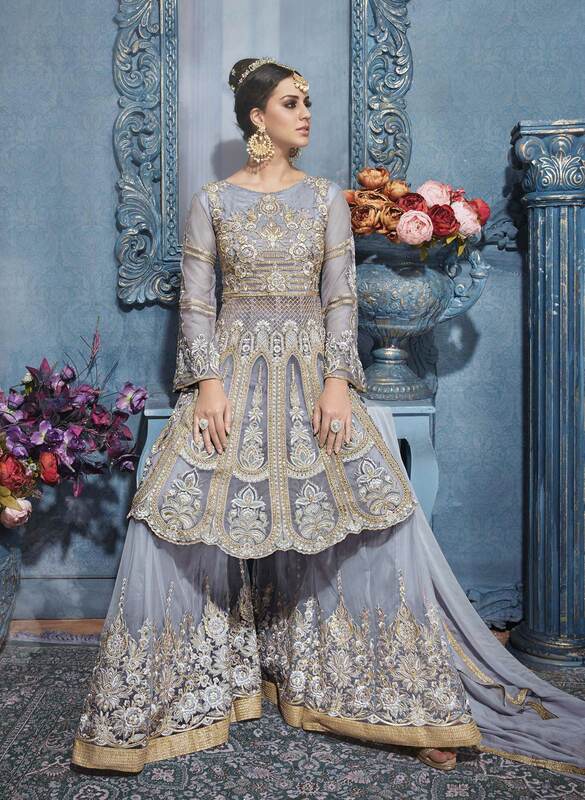 Available with koti made of heavy net, inner of heavy japan satin and bottom of net & heavy japan satin including chiffon dupatta worked with lace. Team it with classy accessories to make your looks more beautiful. This attire is perfect parties, weddings, festivals and receptions.